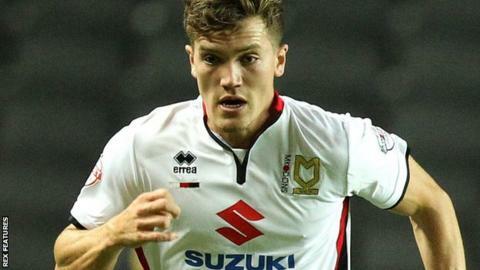 Southampton have recalled striker Sam Gallagher from his loan spell at Championship side MK Dons. The 20-year-old had moved to Stadium MK on a season-long loan in July. Gallagher failed to score in 15 games for Karl Robinson's side, with his last appearance coming in their 1-0 defeat at Birmingham on 28 December. He will join up with Saints again on Thursday alongside defender Jack Stephens, who was recalled from his loan at Middlesbrough on Monday.